When a person gets married to a spouse with children, it can be one of the most difficult jobs an adult will ever have to face. Acclimating children to a new family member especially a parent has to be dealt with care and sensitivity. If not it can cause the family to fall apart. In order to prepare for the situation properly, both the biological parent and spouse must have an open and candid conversation about the role they want the stepparent to play in the child’s life. Once you and your spouse understand one another, you have a good foundation to start shaping how the role of the stepparent will play. The ability for the stepparent to directly discipline a child may be limited, unless the spouse enters the family while the child is at a very young age. 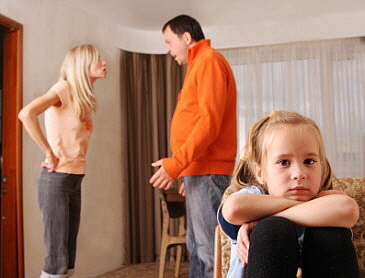 Therefore, while the stepparent may not be able to discipline the child directly, for fear of resentment and rejection, it is imperative that they support the biological parent in their disciplinary action. One challenge a stepparent may face is avoiding crossing the boundaries of an adult to child relationship in order to appease the child and gain praise. It’s crucial that those boundaries be set from the get go. If not, it can lead to a child feeling they can take advantage of the stepparent in order to get his or her way. One thing a stepparent must learn from an early stage is that they need to encourage a relationship between the child and the other biological parent who does not live in the home. One cannot have unrealistic expectations that they will be the full time mother or father, especially if the child is older. In order to gain respect and trust, the stepparent must show that they are not there to break any relationships or change things from the way they were before. There is no doubt that step parenting will have its difficulties, both for the biological parent and stepparent. But with love, patience and hard work, the newly blended family will achieve a sense of balance and harmony.